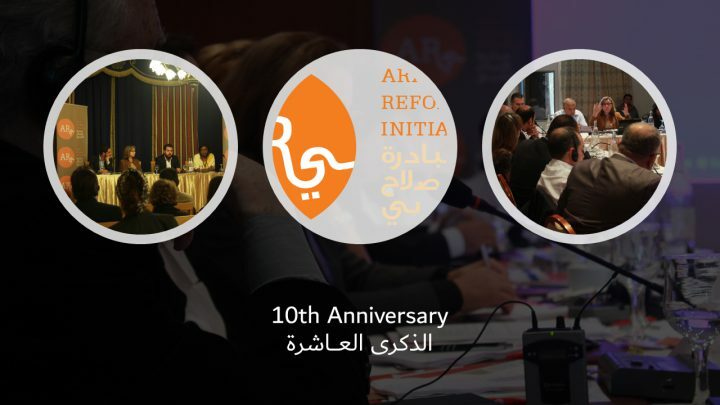 As part of its 10-year anniversary event, ARI organized an international conference on the subject of new forms of youth engagement in Tunis on 1 November 2015. Titled “The Young Ones: From Dreamers to Actors,” this event, consisting of two-panel discussions with academics and youth actors from across the Arab world, explored new analytical concepts of youth and provided the opportunity to collectively reflect upon the transformation of youth participation and its potential role in political reform with academics and youth actors themselves. We are pleased to welcome you to Tunis for ARI’s 10-year celebration, marked by an international conference on the topic of Arab youth and the trajectory of their political and social engagement since 2011. Speaker panel: Saida Ounissi, Political sociologist and member of Tunisian parliament; Hassan Abbas, Syrian academic and President of the Syrian League for Citizenship; Ross Porter, Social anthropologist and Yemen specialist. They will provide a conceptual framework for exploring notions of youth action, and the links between revolutionary protest movements and new forms of social and political participation. Q&A with the audience. Speaker panel: Bassem Khalifa, Environmentalist and social entrepreneur in Egypt; Jad Shahrour, Filmmaker, writer, and civil society activist in Lebanon; Maha Abdelhamid, Civil rights activist in Tunisia. They will recount their experiences in various domains of social entrepreneurship, and their understandings of new forms of political and social action. Q&A with the audience.